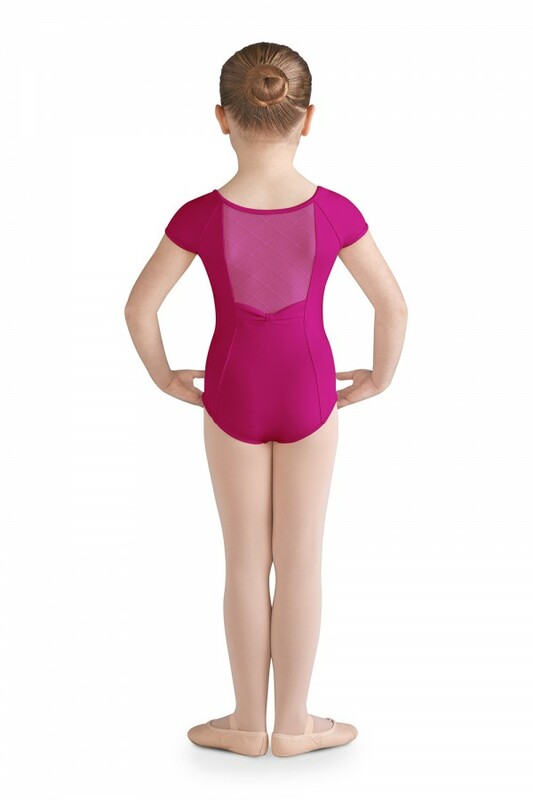 This sweet cap sleeve leotard features a diamond heart flocked mesh front bodice and back panel. 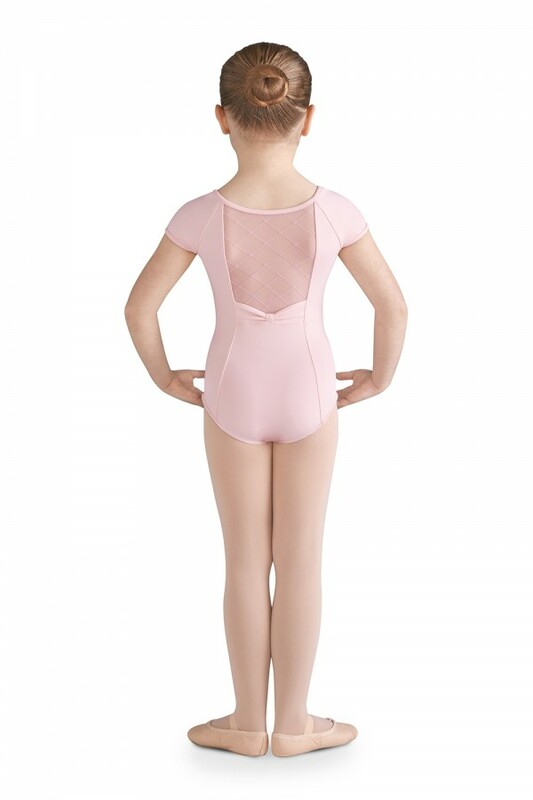 Princess seams decorate the front and back for a classic ballet style. 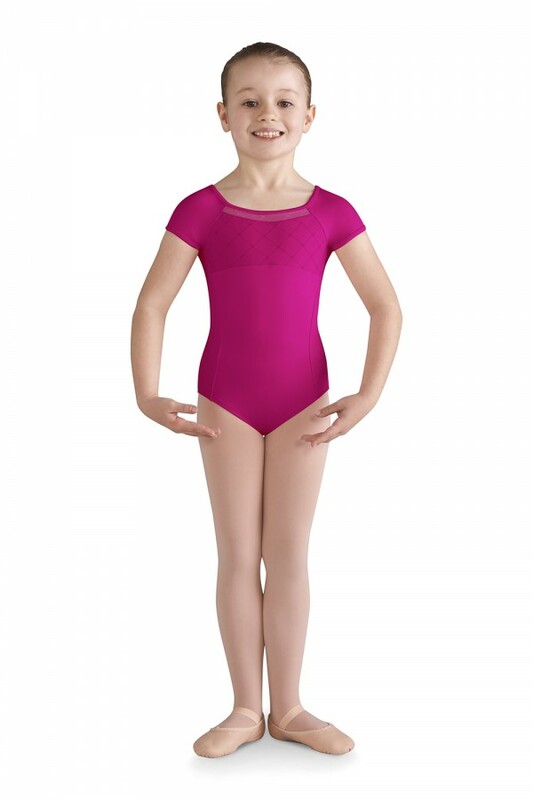 A cute bow sits at the base of the mesh back panel.